Desperately Seeking Adventure: Flying High... Monarch Airlines! Since May I have stayed loyal to one airline, an airline that offers a wide range of destinations from my local airport and faultless customer service! 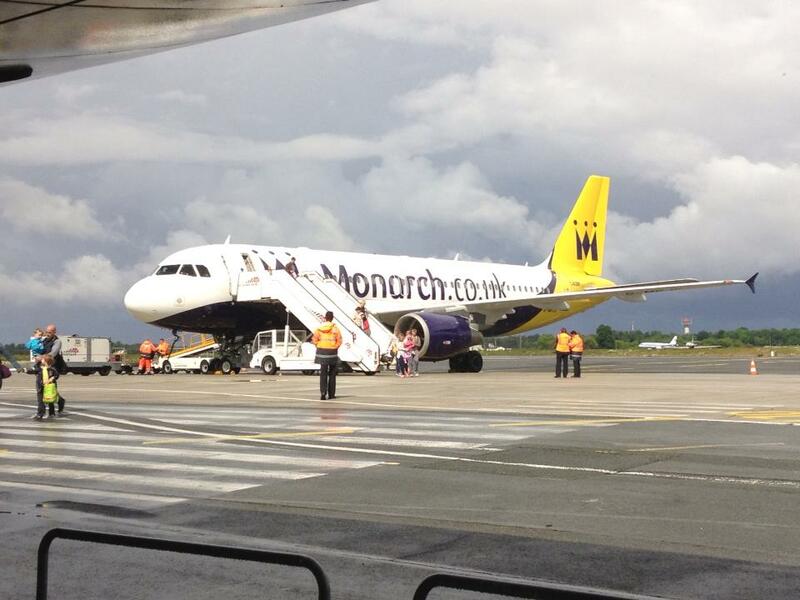 Monarch Airlines has been my carrier of choice on two occasions during the Spring/Summer of 2013! Fasten your seat-belts please and take a moment to refer the safety demonstration because its time for takeoff! I flew on the inaugural flight from Birmingham to Bordeaux on the 22nd of May 2013. As on-time departures go by I was very impressed with this round-trip due to the early arrival into both airports! I noticed that there wasn't really a song and dance at Birmingham Airport on the morning of my Bordeaux departure for the inaugural service, maybe the golden envelope and the French flag had something to do with it? It's not a complaint, merely just a thought. Why had I chosen to visit Bordeaux, France? I was on a family visit to my Paternal Grandparents who live in a small hamlet that's a fifty minute drive from Bordeaux Airport. At the time of booking I saw Monarch as the best option because they had announced their seasonal service from Birmingham to Bordeaux Airports, fitting with my university semester break I just couldn't say no to that flight! You'll realise I endorse my local airport. As customer service goes I was very impressed with the service conducted throughout my French flight. During flight ZB5476 the crew were professional and present in the cabin throughout the whole flight. Flight ZB5477 back to Birmingham from Bordeaux departed early, which helped because everyone wants to leave early once their holiday has finished. Merci Monarch for a super inaugural flight, it was great to see the French journalists take photos whilst I and rest of the other passengers disembarked the aircraft in Bordeaux, France. I must admit that I had traveled with Monarch Airlines before my Bordeaux flight, the destination must have been Zakynthos, Greece but the livery and crew uniform were very different on that flight. To be honest I've been on numerous flights this year so far and flying now seems like catching a bus because I'm fortunate enough to be classed as a jetsetter, but Monarch you did a sterling job! Is that the date? I better book that flight! I hate keeping my feet on the ground but I really need to! To the right is the entrance to Birmingham Airport, its my local airport and the ever-growing base of Monarch Airlines amongst other airlines. I have already mentioned I flew with Monarch Airlines to Bordeaux, France in May 2013 but I try to fly from Birmingham Airport as much as I can! Monarch Airlines have been expanding their route network to destinations such as Bordeaux, France and Split, Croatia so far in 2013. Monarch have increased their frequency to four flights per week to Barcelona from Birmingham Airport from May 1st 2013, strengthening the capacity from the West Midlands. Contrary to belief Monarch Airlines will be bringing new and larger capacity aircraft's to Birmingham Airport to serves Monarch's Brummie route network? Birmingham Airport is growing and is attracting new airlines to serve Birmingham and the Heart of England. Anyway, it's not just Bordeaux and Barcelona I have visited thanks to Monarch Airlines I have my sights set on a short trip to Gibraltar, another direct connection made possible with Monarch Airlines from Birmingham Airport. I'll have to see about that because this summer is looked really packed, at least I won't have to travel to Manchester or East Midlands Airports for a flight like that. 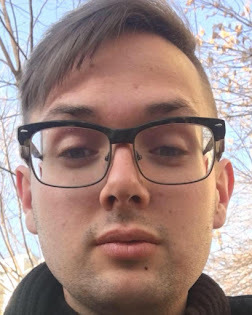 I'm a blogger who is travelling on a very tight budget to see Europe basically on a shoestring, so I can't make any promises! Who knows I might win the lottery so I can live my dream of travelling the world?! When I go to Gibraltar I really want to buy a few bits from the Morrison's Supermarket and cross over the Frontier to the Spanish border town of La Linea De La Concepcion. Maybe one day Gibraltar? So, my advice to you would be to think twice the next time you are booking flights because there's nothing better than supporting your local airport! Thanks Monarch for those BHX routes! Go! I jumped at the chance to take a short break to Barcelona on the 1st of July 2013. I took to the skies for Barcelona El Prat Airport for my alternative Spanish holiday. Choosing to fly with Monarch Airlines on flight ZB962 bright and early for a 07:15 am departure. I arrived at Birmingham Airport with a considerable amount of time to spare, but all of a sudden the 'Final Call' status was visible on the departure screens! Something told me it was too early for the final stages of boarding to be active at around 06:40 am?! I ran like a crazy person, trying to find the ground level boarding gate that was supposedly boarding! I made the flight without another hitch but my experience told me the flight was called early to help alleviate the crowded departure lounge? Departure on-time that July morning was a relief to me! Soaring towards the heavens it was time to enjoy my flight! Don't scare me again Monarch! It was time to board my final Monarch Airlines flight for a while from Barcelona El Prat Airport to Birmingham Airport, would I experience excellent customer service once again? Like clockwork the a outbound flight from BHX arrived with enough time to spare for an early departure, I was impressed! With the disembarkation completed boarding could begin, let's go home! I would have to say that everything was faultless on this flight, I'm not just saying all this positive chat for nothing, Monarch are fantastic so it's credit when credit is due! I only had one reservation about flight ZB963 on the 5th of July 2013, this would be about the quality of the announcements that were made by one of the cabin crew, it wasn't the purser because her efforts were fantastic. I would just say for the future, boys and girls put a bit more enthusiasm into your announcements! I was a Passenger Services Agent for Virgin Atlantic Airways so I know my announcements! Flying is the one! Until Next Time Monarch Airlines!